Less than three months before I had my first date with Jim, he spontaneously took himself on his first “Key West” trip. Now, as it turns out, this was actually a trip to Key West, Florida, but it wasn’t anything he planned. Jim was home in Murray, Kentucky, where he lived at the time, for the holidays. He awoke one morning to one of the largest snows for the area in recent history: 16 inches. After a couple of days of more or less being snowed in alone, he had a bad case of cabin fever, so when he could get his car out and going, he decided to take a road trip. Jim called his Dad and told him he was traveling. His dad wanted to know where he was going, and Jim told him he didn’t know, but he’d call him when he got warm enough. The next morning, Jim called his dad and told him that he was in Key West, Florida. His dad asked him, “What’d you do? Run out of road?” Jim’s response was, “Yeah, but I’m warm enough.” He had a blast. That trip in December 2004 made an impact on Jim. He and I began dating in March of the following year, so we had our first “Key West” trip during Christmas Break (since I was teaching and he usually takes the last two weeks of the year off). When he called his dad this time, his dad wanted to know how it was in Florida. Jim said, “I don’t know; we’re in Texas.” You see, what we call our “Key West” trip is really a concept, not an annual destination. Each year we’ve had one trip that has been designated our “Key West” trip, even if we took multiple fun trips to varied locations during the calendar year. Here’s a list of the “Key West” trips Jim and I have enjoyed so far. As of today, the “Key West” trip for 2015 has been decided and booked. (DRUM ROLL PLEASE) The photo is a hint as it is one of the places we will be going. 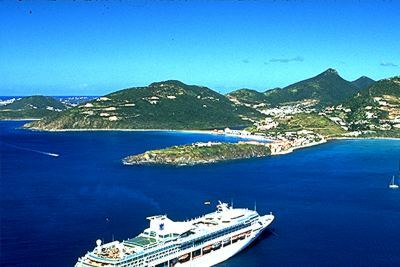 “Key West” 2015 is an Eastern Caribbean cruise to the U. S. and British Virgin Islands in October 2015! 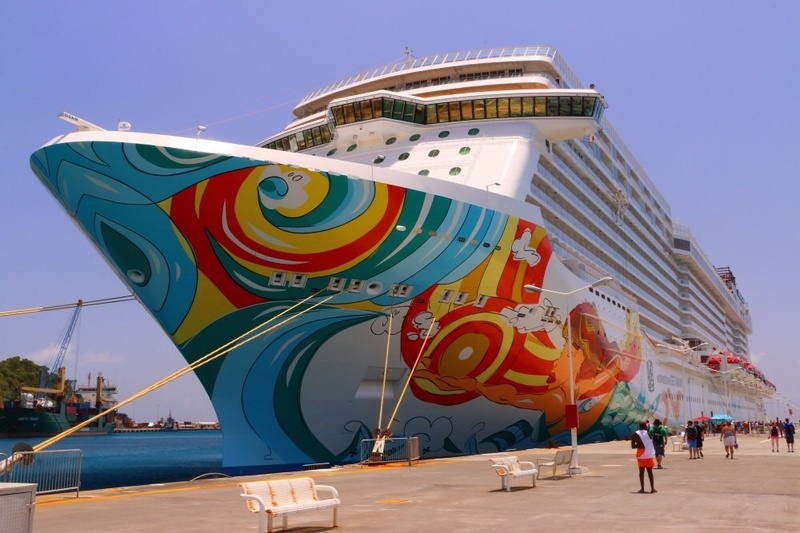 We’ll travel on NCL’s newest ship, The Getaway. What great trips you have had! Enjoy this next one also.